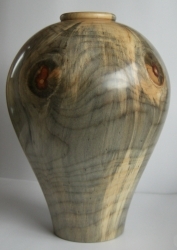 Welcome to Tony Walton Woodturner/Artist website. Tony has been turning wood (woodturning) for over 20 years using mainly locally sourced native woods with the occasional use of exotics. Turning a large range of items from Large bowls, Platters, Hollow forms, Wall art to the more mundane functional items and treen some of which can be seen and purchased in the online galleries or shows/exhibitions that he sometimes exhibits at. 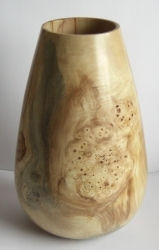 Tony is a professional woodturner on the Register of Professional Turners that is supported by the Worshipful Company of Turners, he is also a Member of the Association of Woodturner’s of Great Britain (serving on the committee for a number of years). 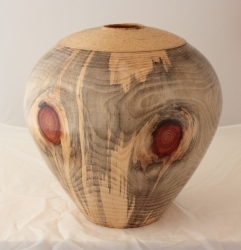 His work is varied from plain wood to highly figured woods and can be smooth, textured, coloured, matt, satin or glossy depending on the look the artist is trying to achieve. Many of the items tony turns are considered to be outstanding and are exhibited at exhibitions, shows, craft events and purchased by collectors. Many of the items are one off’s due to the type, colouring and figure of the wood and tony has seen many disappointed customers who did not purchase the item when first seen only to come back 20 min later to find the item had been sold and asking if he could make another one. Unfortunately wood is not like other mediums such as glass, ceramics, metal etc. where identical copies can be made, each piece of wood is unique with its colour, grain and growth pattern, even 2 pieces from the same tree will be different. Tony processes most of his own wood using a selection of chain saws and a large band saw, sometimes working with a local tree surgeon to cut down and process a tree which enables Tony to select pieces of wood before they are cut and processed into firewood. Storage of timber for turning is always a problem as it can take many years for a 75mm plank of wood to dry and large sections of tree trunk will never dry in the round. Rough turning an item sealing it and setting it aside to dry, it will dry within 4 to 6 months allowing Tony to remount and re-turn the item to a finish in less than a year. Some kiln dried timbers are purchased from dealers (max of 75mm thick) for tasks that have to be completed within a short time scale (knobs for kitchens, furniture parts etc.). Tony has made many commissions over the years including Trophy plinths, Trophies, Bowls, Hollow forms, Boxes, Pens, parts for antique restoration, Gavels etc. if you are considering a commission as an award, prize or gift Tony can offer you advice on the choice of timber and design with a free quotation.